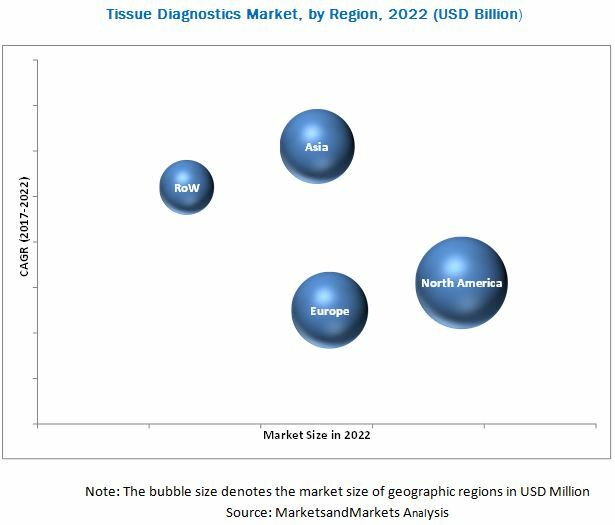 [160 Pages Report] The tissue diagnostics market is expected to reach USD 5.14 Billion by 2022 from USD 3.44 Billion in 2016 at a CAGR of 6.9%. The base year for this study is 2016 and the forecast period is 2017–2022. The key players in the tissue diagnostics include Roche (Switzerland), Danaher (US), Thermo Fisher Scientific (US), Abbott (US), Agilent Technologies (US), Merck (Germany), Sakura Finetek Japan (Japan), Abcam (UK), BD (US), QIAGEN (Netherlands), Sienna Cancer Diagnostics (Australia), Royal Philips (Netherlands), A. Menarini Diagnostics (Italy), Cell Signaling Technology (US), Enzo Life Sciences (US), Master Diagnóstica (Spain), TissueGnostics (Austria), Bio SB (US), MedImmune (US), Cernostics (US), Zenalux Biomedical (US), 3DHISTECH (Hungary), Lunaphore Technologies (Switzerland), BioGenex (US), and Biocare Medical (US). 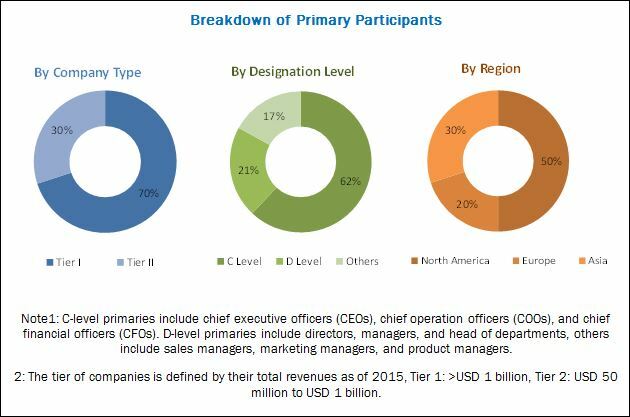 The growing incidence of cancer along with a rapidly aging population, technological advancements in tissue diagnostics techniques, and increasing healthcare expenditure are key factors driving the growth of this market. The factors such as the high degree of consolidation, the high cost of instruments, and complex regulatory framework for the approval of new products may restrain market growth to a certain extent.